24th ACM Symposium on Virtual Reality Software and Technology The ACM Symposium on Virtual Reality Software and Technology (VRST) is an international forum for the exchange of experience and knowledge among researchers and developers concerned with VR/AR software and technology. Special Interest Group on Computer Graphics and Interactive Techniques Conference For more than four decades, SIGGRAPH conferences have been at the center of innovation in computer graphics and interactive techniques. 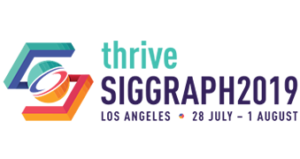 Immerse yourself in a new generation of technology, trends and techniques at SIGGRAPH 2018, which will take place in Vancouver, Canada.